Weekly at Christ Community, you will hear one of our pastors talk about how each one of us have been called to live on mission where we live, work, and play. 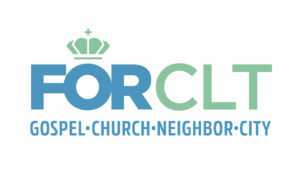 God has given each of us a sphere of influence across the city of Charlotte, whether in the Lake Norman region or another part of the city. As a Christian, it’s important that we love our city well and model what biblical Christian faith looks like and loves like. I’m excited to dive into this 4-week series as we examine how we are called to be for the gospel, for the church, for our neighbors, and for our city. God has you here in Charlotte at this moment in history for specific reasons. We must understand what our role is in God’s plan for reaching Charlotte with the gospel. We believe the most vital relationship you can have in a church is with those in your small group. Small groups are important for every believer because it is within these groups that real community takes place. This is where the “one-another” commandsare often lived out. We desire to make it easy for you to find a small group that fits your life-stage and need. 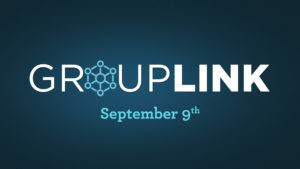 Group Link is the best way to find a small group to belong to. Immediately after church, in the cafe area, representatives from every Christ Community small group will be on hand. You can find groups that meet in your area and on your schedule, get to know the group leaders, and find your fit. One of the strongest areas of Christ Community Church is our commitment to reach, develop, equip and deploy leaders for life and mission. Men’s Fraternity is one of the strongest ways we do this. This ministry is an opportunity for men to grow together in their faith, become equipped to fight for family, values, and their spiritual well-being. 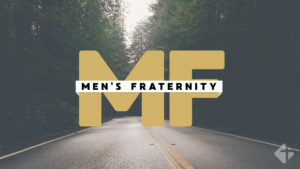 Men’s Frat will begin on Monday, September 10 at 7 pm at Christ Community. I encourage you to join the team as these men learn together God’s battle plan for their life. Check out Men’s Fraternity at our website and get in touch with our leadersif you’re interested in joining! Equally as important as Men’s Fraternity, our women’s bible studies serve to help women grow spiritually. 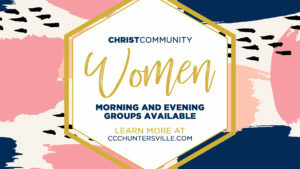 We desire to provide opportunities for women of all ages and life stages to gather together to study God’s Word. One of the outcomes of a weekly bible study is the constant encouragement that comes from fellowship and conversation around life’s struggles. We are offering two studies, Seamless and James. Check the dates and times below and register here. The Lord has been so kind to bring growth to our faith family over the last year. We’ve grown in Sunday attenders, committed church members, small groups, children, and students. We’ve seen people profess faith in Jesus, be baptized, and begin a discipleship relationship. It’s important that we take time to rejoice in God’s favor and blessing on our church. At our annual church family meeting we will worship, take the Lord’s Supper together, affirm our new church budget, and hear a few ministry updates that I can’t wait to share. 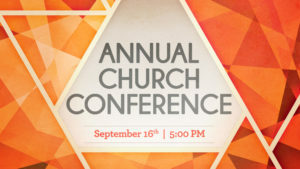 The Annual Church Conference is for all members of Christ Community and those who have interested in joining with us. Thanks for your faithfulness to the ministries of Christ Community Church. Let’s walk together faithfully making gospel-centered disciples among all people for the glory of God. As always, I’m grateful to be your pastor.